Features a delightful blend of Cajun and Celtic cultures to explore. Specializing in Louisiana artists, the gallery has a wide selection of art gallery originals and limited editions. 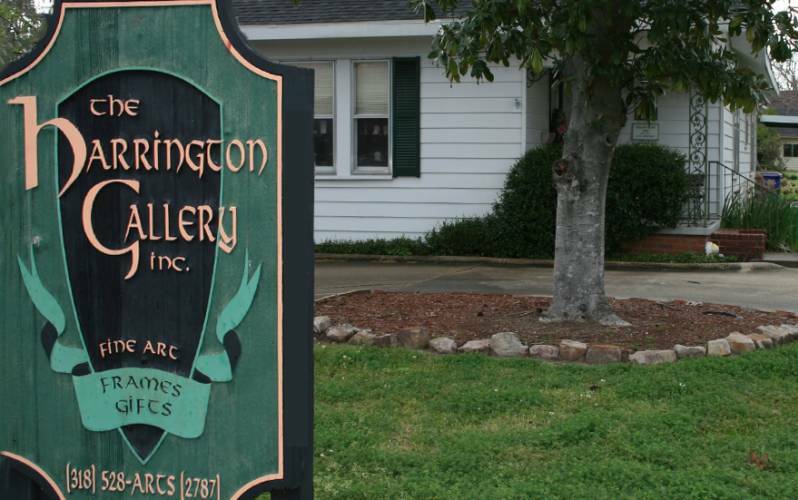 The Harrington Gallery is a professional Art Gallery. At the Harrington Gallery, we do unique and unusal custom frame designs. Let us help you find the right frame for your artwork, photographs, memorabilia, and any treasures dear to your heart. We have many frames and acid free mat boards to choose from. Also available clear glass, non glare glass, UV blocking glass, Museum quality glass. Please call if you need our services on Saturday and Sunday, we are available by appointment. Shipping services are available. Hours of Operation: Monday - Friday: 10 a.m. - 5 p.m.